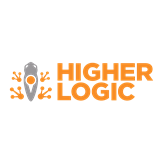 Higher Logic is seeking an enthusiastic Data Science intern. This is a paid internship. We're working on building State-of-the-Art models to help our customers keep their members engaged, happy, and productive. and they learned how to use those tools during their internship at Higher Logic. We'll work with you to create a project that will both benefit Higher Logic in some way, and let you learn more about the things you're passionate about - all while working with a group of people eager to share their knowledge and experience.